Falcons running back Devonta Freeman is in line for a new contract, and an announcement may be coming soon. Coming off back-to-back 1,000-yard rushing seasons, and entering the final year of his current deal, Atlanta Falcons running back Devonta Freeman is in line for a contract extension. His agent stirred the pot a bit before the Super Bowl, suggesting Freeman deserved to be paid like an “elite back”, and he backed that up with the same sentiment in May. Otherwise though, optimism has reigned on both sides at the prospect of getting a deal done before the season starts. 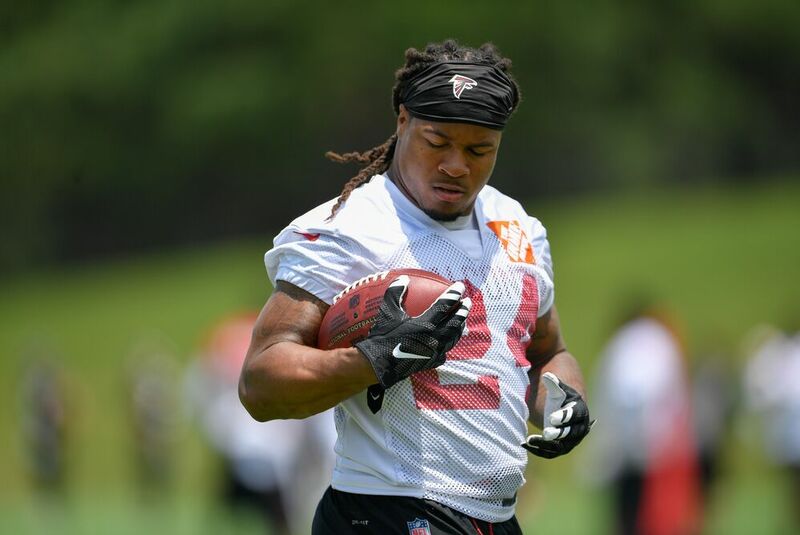 Last week, Dianna Russini of ESPN reported the Falcons were confident about getting a deal done with Freeman by the first week of training camp. On Monday, during an appearance with 92.9 The Game in Atlanta, no less an authority than Falcons owner Arthur Blank said he expects something to be done soon. Freeman was originally slated to make less than $1 million in 2017, but performance escalators bumped him up to $1.838 million for the coming season. With 27 total touchdowns (22 rushing), a per carry average of 4.3 yards and 127 receptions over the last two seasons, he’s still a fantastic bargain for one more year. He should also have plenty of good years left at 25 years old, particularly while Tevin Coleman is around to ease his workload a bit. Running backs are devalued in today’s NFL, but Freeman should compare favorably to other top players at the position with his new deal starting in 2018. Blank did, probably smartly, put the ball into the courts of Falcons general manager Thomas Dimitroff and head coach Dan Quinn to close the deal with Freeman. All signs point to it happening sometime over the next month, and one of the key pieces of Atlanta’s offense will be around awhile longer.